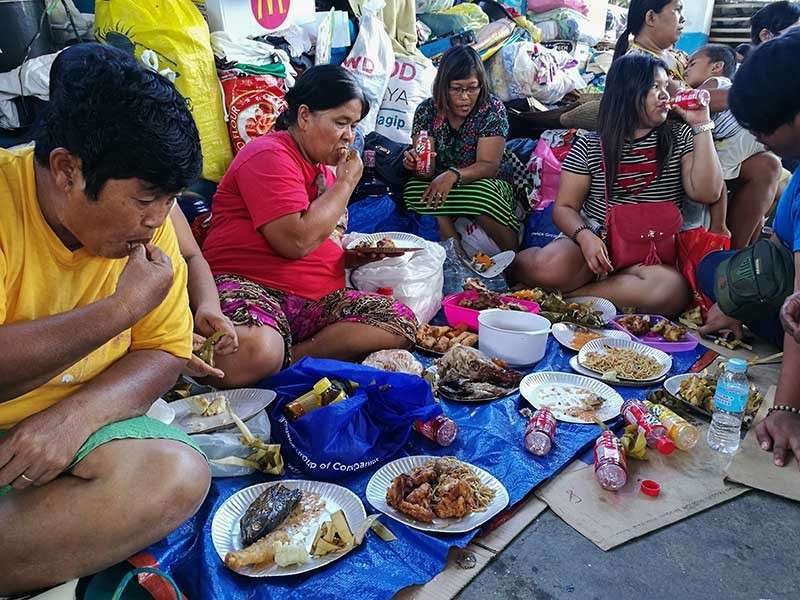 MORE than 600 families displaced by the Christmas fire that struck Barangay Duljo-Fatima, Cebu City welcomed 2019 in evacuation sites. Although the City Government is already working on plans to re-block the affected areas, the displaced families will have to wait until after New Year’s Day for the areas to be re-blocked, as government services were temporarily closed for the holidays. In an interview last Friday, Dec. 28, City Disaster Risk Reduction Management Office Chief Nagiel Bañacia said that after their consultation with fire survivors, the City will start re-blocking the affected areas. At dawn on Christmas Day, the City Government recorded this year’s biggest fire, which razed 391 houses and left 641 families, or 2,783 individuals, homeless. Affected areas include Sitios Buli, Ponyang, Mansanitas, Catwalk, Plastikan, Pasong Kabayo and San Pedro. “The area will have to be placed under ground zero. Then we will proceed with the re-blocking. The purpose of this is to avoid road encroachment to prevent the same incident from happening again,” Bañacia said. Meanwhile, Cebu City Vice Mayor Edgardo Labella asked his fellow City Hall officials to “stop the blame game” on allegations hounding the distribution of meal packs to survivors. Labella on Sunday, Dec. 30, said that instead of pointing fingers at each other, the City Government should focus on mitigating the “sufferings” of fire survivors. “At this point in time, what we should do is to see to it that ang atong mga biktima matagaan sa husto nga suporta sa (the victims get the proper support from the) City Government ug sa mga nagkalaing-laing (and several) NGOs (nongovernment organizations) and well-meaning citizens sa pagtabang kanila (who want to help them). It’s like rubbing salt on the wound of the fire victims,” he said. Last Friday, the City Council approved the resolutions of Councilors Dave Tumulak and Alvin Arcilla, declaring the barangay under a state of calamity. Placing fire-hit areas under a state of calamity allows the local government to access calamity funds to help survivors. The Barangay Council of Duljo-Fatima declared a state of calamity on Wednesday. Earlier, Duljo-Fatima Barangay Captain Elmer Abella said they had P685,000 in the calamity fund, which they would use to buy housing materials and meal packs for survivors. The barangay would also extend P20,000 each to the families of the two casualties. He had lamented that although they had designated their barangay hall as their command center for donations and assistance, the meal packs from the City Government were distributed at the San Nicolas Elementary School. Abella also alleged that personnel of the barangay mayor’s office (BMO) told fire survivors not to register at the barangay hall since the BMO was reportedly working with the Department of Social Welfare Services (DSWS). “Early morning of Dec. 25, we listed all the fire victims and in fact, there was someone from the BMO who said, ‘Don’t enlist there since the barangay is out of this. The DSWS people are here, and the forms are here,’” Abella said in Cebuano. That was why he directed fire survivors to go to the BMO to claim their meal assistance, he said. Mayor Tomas Osmeña, though, was unfazed by the allegations. “You help people, it’s politics. You don’t help people, it’s politics. What do you do? Nothing? There’s one vice mayor who does nothing. I’ll just do what I can to help the people,” he said.